Family Spouse: Dr. Deborah G. Blue, Chancellor Emerita, State Center Community College District, four adult children and nine grandchildren. Previous public office None. I want to give back to my community by being a Board member for the Maricopa Community Colleges. I firmly believe that it is fundamentally necessary that we elect Board members for Maricopa County Community Colleges who are fiscally responsible, responsible to community constituents and put our students first. They support faculty, staff and administrators in their engagement with helping students to succeed in their chosen fields of study. I believe my professional career and experiences of 35 years in higher education including 8 years as faculty member, 20 years as a CEO serving as a Community College President, Superintendent-President and Chancellor reporting to a Governing Board for 19 years has prepared me for this role. My professional career and community involvement have prepared me to the assume the role of being elected member to the Maricopa Community Colleges Governing Board. I am ready to be your next Board member representing District 4. My wife and I purchased our first home in Litchfield Park in 2006, with the intent of moving here permanently when my wife and I were retired. I retired in 2008 as Chancellor of the West Valley-Mission Community College District and Deborah retired in 2015 as Chancellor of State Center Community College District. We moved here permanently in February 2016, living here as permanent residents for the last 2 years and 6 months. I have a very strong commitment to community colleges and believe in giving back to my community. During my professional career, I served on various community boards, such as Chambers of Commerce, Work Force Development Boards, Red Cross and a Hospital Board. I currently serve on my Community’s HOA Board. Since my retirement, I worked as a search consultant for Community Colleges searching for Chancellors, College Presidents and Vice Chancellors. In addition, in some of the Districts for which I conducted their CEO search, I also facilitated their Board and CEO Retreat. I believe because of my professional career of 20 years as a Community College CEO, I am professionally prepared to assume the duties of being elected as a Governing Board member for the Maricopa County Community College District. As an elected Governing Board member, I will be accountable to the voters, the students and employees of the District. I attended the Board meeting when the Board took action to end the meet-and-confer process with residential faculty. As a private citizen, I felt that the board or Chancellor provided no rationale or reason for such action being taken. I firmly believe the District should have policies that clearly define the role of faculty and staff in collegial governance. Faculty and staff should have a voice and input into decisions that affect the academic and student service function of the Colleges. Plus, faculty and staff must have input into their working conditions. Therefore, I firmly believe, the District should have an agreement with faculty and staff that clearly defines working conditions. When the Board ended meet-and-confer, they did so without any replacement process in place. Academic policies governing Residential Faculty should not be created without the voice and input of those affected by the policy. Yes, I oppose the District’s decision to eliminate meet-and-confer. As a newly elected Board member, I would ask the Chancellor to bring forward an agenda item that would clearly explain the rationale used by the Administration to eliminate football after the 2018 season. I would also like to know who was involved in making this decision. I would ask: Were there other alternatives that could have been considered rather than cancelling all football programs in the District? Would it have been possible to have kept two of the four programs? Were there other funding mechanisms or community partnerships explored? These are only a few of the questions that I would ask. This would give the Board an opportunity for a full, open, and transparent public discussion on the Administration’s decision. Playing football in community college was the vehicle that enabled me to obtain a college education and have a highly successful professional career. I hate to see this opportunity closed for many young men in our District. Yes, I oppose the District’s decision. There are many benefits for offering athletics programs in Community Colleges. The personal benefits for student athletes are teamwork, perseverance, responsibility, physical endurance and commitment. Other benefits include time management, personal and emotional health. Athletics, when offered by a community college provides a means by which many students can continue their college education. Student athletes can obtain a full athletic scholarship to continue their undergraduate education. Athletic programs can attract huge community and business connections and support for community colleges. By offering athletic programs at community colleges we can have a very positive impact on the college, the student, enrollment and the community served by the college. However, like all programs offered by the Colleges, the Governing Boards must also consider the fiscal impact of offering athletics and the positive contribution such programs will have on the Mission of the Community College. Our tax dollars are currently funding other Community College Districts in Arizona not in Maricopa County. The part we pay into the state general fund should come also to the Maricopa Community Colleges. As an elected Board member, I will be committed to the District’s fiscal stability and being held accountable for how property tax dollars and tuition paid by students are spent. In order to ensure the fiscal viability of our Colleges, the state must restore general funding to the Maricopa Community Colleges. I would recommend that the District establish a District Legislative agenda that would encourage our Board to collectively lobby our State Legislature, Governor, State Superintendent of Schools, County Superintendent of Schools, local City Government, Business Community and the Arizona Association of District Governing Boards on the need to reinvest in our citizens by restoring state funding to the Maricopa Community College District. This will take many years to accomplish. As a Board member, I can ask the Chancellor to provide a comprehensive Board report on student enrollment throughout the District. I would request that the report be placed on the agenda so that the full Board can discuss student enrollment and the strategies being employed to address declining enrollment. As a Board member, I would like to know what Colleges have done through their strategic enrollment management efforts to attract new students, what the students’ persistence rates are from semester to semester, and what the rates of degree completion, of transfer and graduation are for students. As a Board member, I would want to connect with the Business Community to see if there are new workforce development opportunities so that we can offer new programs. I will work with our Colleges’ Foundation and Alumni Associations to increase funding for scholarships that can assist current and new students to afford the cost to attend our colleges. I believe that Community Colleges are America’s equalizer and key to student success. Community Colleges are for all kind of learners: high school dropouts, high school graduates, transfer students, work force training, life long learning, and developmental education students. Community Colleges provide a high quality-learning environment to a diverse community. In offering educational, transfer education, developmental education and job training opportunities, Student Success should be the College’s highest priority. Community Colleges are committed to access, teaching excellence, lifelong learning, partnership building and economic development. Community Colleges opened doors I never knew existed. Community College was my vehicle to success, from the housing project, a high school drop out and pitching watermelons in the summer to a Community College Presidency and Chancellor. Community College was my bridge for a successful professional career. The last time the District passed a General Obligation (GO) bond was in 2004. The District historically would go out for a GO bond 10 years later. The District made a decision not to pursue a GO bond in 2014. A number of the Colleges have major maintenance needs that have been deferred. A number of buildings need repairs and upgrades in order to meet the learning needs of our students. The District will need to address these capital improvement needs. It can do so through being creative in generating funds for capital improvement. I would recommend a concept of “Assessment Management” to generate new revenue for capital improvement. For example, facilities and vacant properties can be used to generate new revenues. The District could rent out facilities; it could develop the vacant properties for business development and leasing. These revenues would be used to fund facility improvement and maintenance. This saves taxpayers money by reducing the need to ask for General Obligation bond. Lack of state funding: Please refer to my response to the question on restoring state funding to the Maricopa Community Colleges. Stabilize Student Enrollment: As a Governing board member I would want to review the enrollment strategies employed by colleges. The Colleges need to link student recruitment with instructional programs and student services programs. Restore shared governance with faculty and staff: College faculty and staff are in direct contact with students every day. We should value and include their input and expertise regarding policies that we make as a community college Governing Board, rather than having policies created at an educational institution without the contribution of faculty and staff. Previous public office Az State Legislature. Central Az Project Board Maricopa County Community College Brd. Schools are a multi-million dollar business and in the case of Maricopa Community Colleges, a multi-billion dollar business. I have experience in budgeting, making sound business decisions and understand how important it is to not overspend while making the best use of the taxpayers money. I recognize which expenditures are necessary and which are "the way it has always been done". In my tenure on the Board we have for the first time in the history of the District reduced taxes and tuition. We have set aside 10% of our money and are using the interest on that money to pay off the secondary property tax and hope to never have to go out for a bond issue in the future. The District was formed 54 years ago and this is the first time the trend to more government has been stopped and sound business practices have been put in place. I want the sound economic practices we have implemented to be continued. We are providing the best education possible while eliminating unnecessary costs. We are doing a great job of training our students for careers. We have a new program in nuclear plant operation in conjunction with Palo Verde Nuclear Power Plant. As their work force enters retirement, we are training their replacements. We have one of the most outstanding nurse training programs in the country and I want to continue with the expansion of that training. I want to continue with innovations and new programs in order to meet the needs of future students. 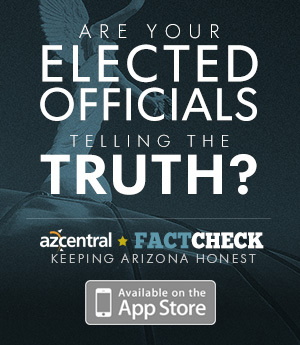 Arizona law forbids government from engaging in collective bargaining. I fully support the end of the process of "Meet and Confer" which is indistinguishable from collective bargaining. A new process has been put in place which will give all employees a way to communicate with the administration and keep us out of trouble with the State Attorney General in the area of collective bargaining. Insurance companies are run by smart people who see the need for greatly increased premiums to cover all future claims from football players for injuries received by playing football. You, the taxpayer and owner of the community college district, cannot afford the premiums necessary to field a football team. I love football but cannot justify the costs to the players in injuries and increased insurance premiums to the District. Participation in sports has many benefits and I want to continue as many opportunities for sports teams as possible. A great many of our athletic team students earn academic honors in competition with other 2 year colleges nationwide. Maricopa County Community College District is now being run in such a fiscally responsible manner that there is no need for funds from the state. The state is facing many challenges and the District should be ashamed to even hint that we are in need of more money from the taxpayers. We are doing an outstanding job with our current revenues. Enrollment increases in recessions as students enroll to train for a better job and often for any job. As the economy has improved, enrollment has declined. The District has several programs underway to increase enrollment and improve graduation rates. We are responding to requests for more technical training. The largest number of students enrolling at ASU as juniors are Maricopa Community College students. We are in no different condition than other community colleges across the nation but I am convinced we are doing more than others to address the enrollment decline. There is no need for an either/or. Maricopa Community Colleges are doing an exemplary job in both 4 year preparation and technical training. I strongly support anything that eases the burden on taxpayers. We used to set aside 8% of our money for emergencies. We are now setting aside 10% and are using the interest earned to supply needs typically paid for with bonds. All our building and maintenance needs are being met with this new policy and we hope to retire the current bonds and never have to ask for the taxpayers to approve bonds again. Our challenges will be to develop classes that meet the needs of our students. The students currently pay $84 for each hour of every class they enroll in. Our taxpayers are paying $241 for every hour that every student enrolls in. We must make every class count. I would like to eliminate classes that have no proven benefit such as gender studies. The only job you can get with a degree in gender studies is teaching gender studies. Sustainability is the wise and careful use of our assets. We have been doing that since time began. I would like to replace classes in sustainability with classes in logical thinking. We are always looking for ways to add needed programs and eliminate outmoded ones. By meeting the needs of the students and responding to requests for students trained in needed jobs, we will be improving lives.